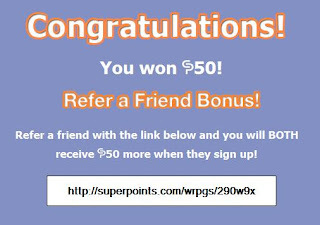 I'm so excited to have just gotten a 50 Superpoints win! In addition to this win comes a 50 Superpoints BONUS to one other lucky person who joins. It's only good for one use, so once it's been used it's gone!